I went to The Theatre last night. Not a movie theater. Theatre. You know, people on-stage, throwing lines to one another, taking creative chances in front of a live audience. And no, it wasn’t Broadway. It wasn’t The Lion King at Omaha’s Orpheum Theater (the nearest place you can see “Broadway” caliber shows). It was in my little town of Sidney, Iowa. It wasn’t high-brow entertainment. 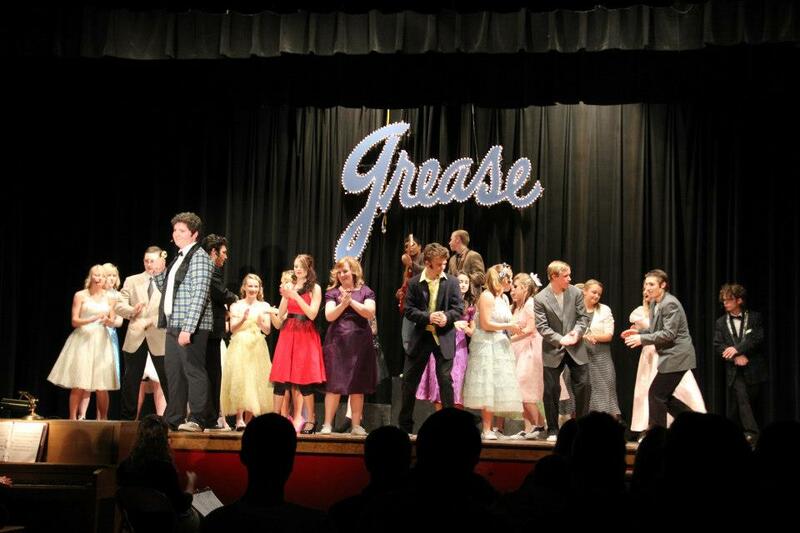 It was a high school production of that classic tale of teenage angst during the mythical 1950’s–GREASE. Presumably, you know the story. 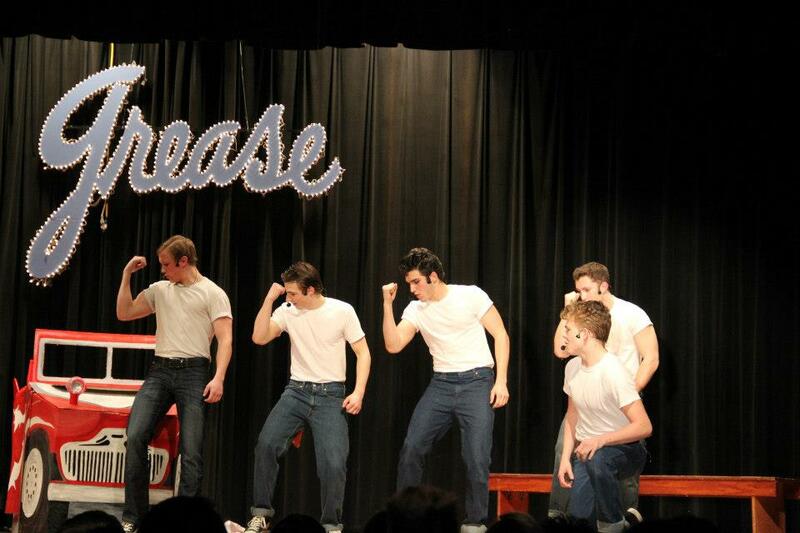 I hope so, because actually, the story is the WORST part of GREASE, either the stage production or the movie. The BEST part is the energy that play has. It’s fast paced, fun, catchy, colorful, humorous–a romantic slice of time that probably never really existed quite like that. And it is something that teenagers can play with some authenticity, simply because the characters are teens themselves. It isn’t Shakespeare, it isn’t Oedipus Rex (Thank God! ), but it is entertainment. 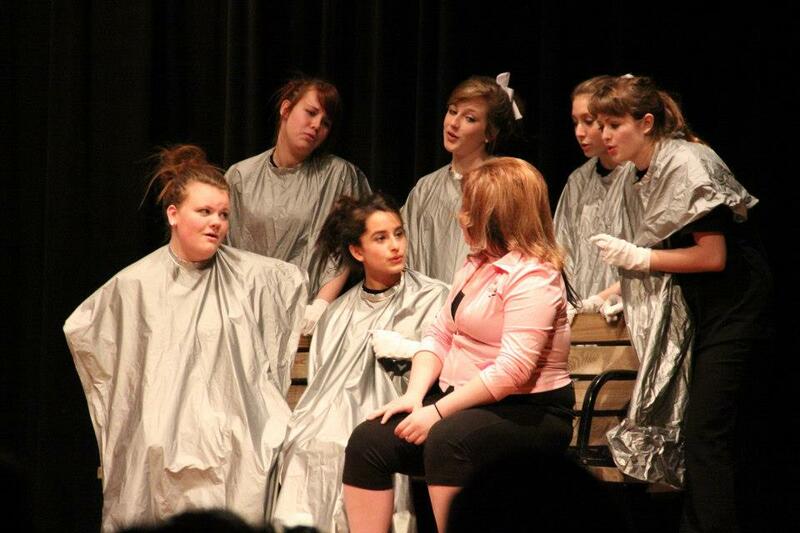 And for the kids performing this play last night, and tonight as well, it is art. 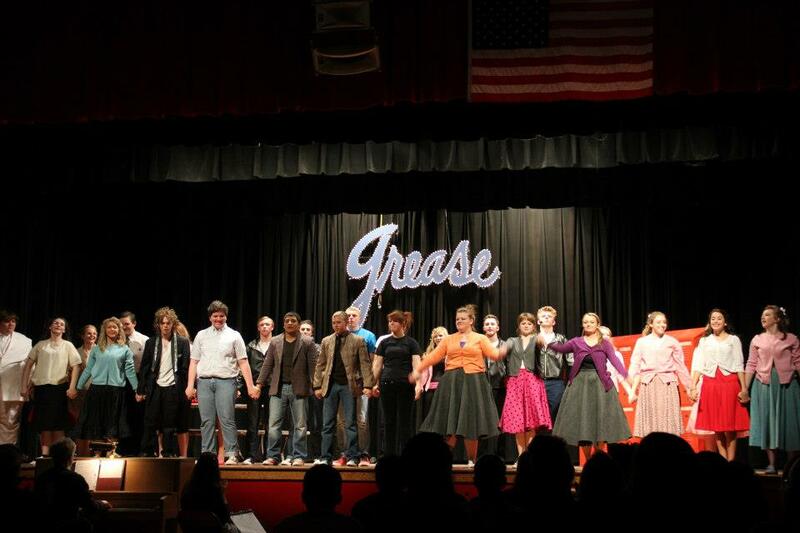 I have nothing but praise for the cast and crew. Not that there weren’t imperfections–this is high school, after all, and Sidney is not known for its emphasis on Fine Arts but rather for hard-hitting football, squeaking sneakers on the basketball court, and, of course, RODEO (but perhaps that is changing just a bit). We are the Sidney Cowboys, after all. We are a typical small town. Sport in one form or another drives the town spirit and the newspaper articles. 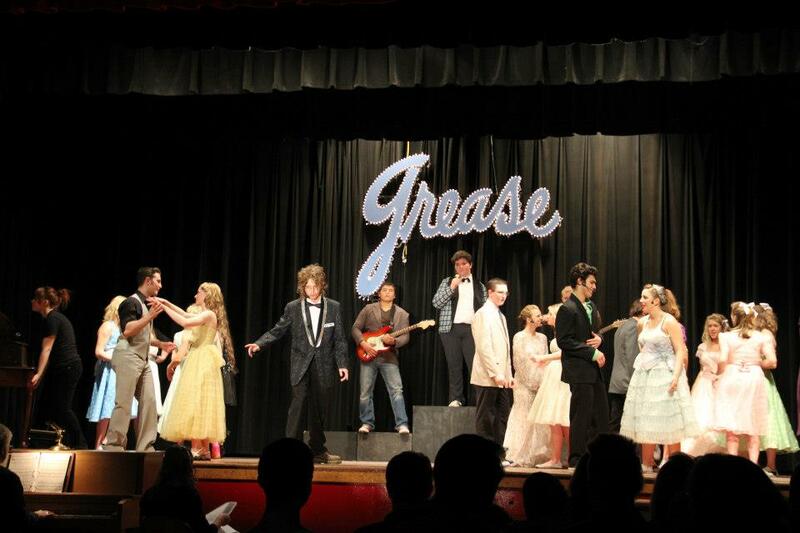 Because of that, it is no surprise that the stage is located in an old high school gym with dreadful acoustics. Consequently, the actors have to wear microphone headsets throughout. We do not have a Drama department as such in our high school–no money, you know, the same tired story of public education in most small towns. The director of our theatrical productions, Mrs. Nicole Zavadil, is also the band director AND the choir director for both the high school and middle school students. She is one of the best teachers I have ever met, and she has little help with the frighteningly huge workload beneath which she labors. She provides something to these children in our town–a basic appreciation of performing arts–that has been sorely missing for several years. I am not a theater “person”. I didn’t major in theater in college, nor did I do a single production after high school. I did have amazing experiences during my high school years under a Drama instructor by the name of Ken Balster, who, magically, is still doing his thing in Clarinda, Iowa, just 36 miles away. I had the unbelievable privilege of going to school in a community that was a little larger and richer than Sidney, and had a true proscenium theater facility. We had more money in our Theater Department. We did two productions a year, plus had acting classes, set design and construction classes–all sorts of wonderful tidbits in the curriculum. I was very lucky to have that background. But, that was as far as it went. 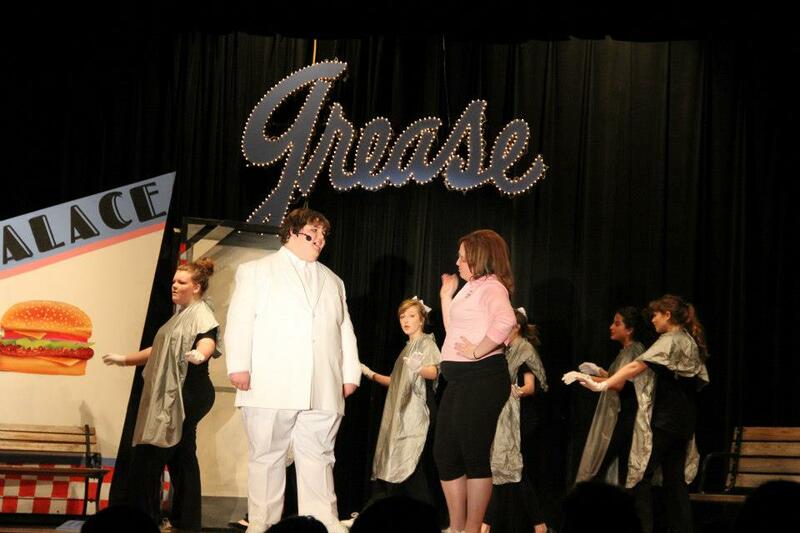 I did no more in theater for the rest of my life, and I put that part of my background away, forever, it seemed. Forever, until I had children. And then, all that came rushing back into my mind. I remembered the teamwork, the collaboration, the trust that you have to have with the other actors, with the director, with the audience, in order to produce a play worth seeing. I remember the culture of acting as an art form, of singing and playing instruments as art forms. I remembered the friendships and the camraderie that results from getting up in front of an audience and performing something for them the best way you knew how, of throwing and catching lines and cues with fellow actors, of the laughter together, and the fear of screwing up, and the hope that you wouldn’t. I remember how bad it was when people had an “off” day, and how like poetry it was when everything was clicking on the stage. I remember how democratic acting in a play is–you don’t need to have extraordinary physical prowess to act a part (in most cases). You can be an “average” person, and still participate. You simply have to show up and dedicate yourself to a practice. You don’t need to be able to throw a ball, or run really fast, or wrestle someone to a pin. In fact, you have to let go of all you know about yourself and become someone else. And to do that with a group of other actors–well, THAT is the point of theater. It is the ultimate team. You become one of many colors on a canvas, mixing together to create something wonderful. It is ART. I wanted that experience for my children. 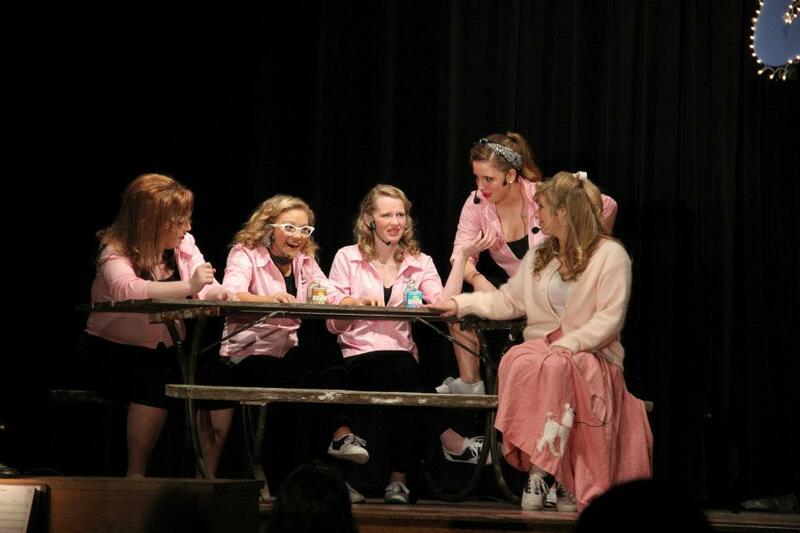 And last night, at the Sidney High School’s production of GREASE, I saw that. Regardless of gymnasium stage, of limited budget, of a small school that doesn’t have the cash flow for a lot of artistic endeavors, I saw these kids had it. They were experiencing it together, transcending reality for just a bit. Those young women and young men were “getting it”. They were having a shared experience, and had entered into that sacred contract between actors and audience. They fed us the performance, and we fed them our attention and applause. It happened. Hopefully tonight (and the second night is always tougher), it will happen again–that flow of energy between actor and audience. So, I want to thank Mr. Balster, for allowing me that wonderful, privileged experience during my high school years. Even though I never pursued it, it enriched me in untold ways. And I want to thank Mrs. Zavadil, for bringing this experience to my children. She has changed the fortunes of our choir and band programs here in Sidney in dramatic, beautiful ways. And she has taken on the role of director of our plays and musicals, providing an experience in performance-based art that our kids simply would not have were it not for her. She can never be compensated for what she is doing in our town. Last night, after the play, I was able to walk down the hallway and see each of the actors. There they stood, flushed faces, hearts beating young and wild with the memory of the past 2 hours. I remembered my own moments, after a performance, when the audience would file by and clasp my hand, telling me “Good Job”–part of the ritual bond between actor and audience. I remembered how much that meant to me, that appreciation. And so, I got to be on the other end. Life is a wheel, isn’t it? I passed through them, these children of Sidney, and clasped their hands and looked into their eyes, and gave them the only gift I had–praise. It was profound. Photographs graciously provided by Sidney Photographer Scott Lowthorp (c) 2013. You may find more of his excellent photography at http://www.viewbug.com/slowthorp. Tracy Lovett is an artist, author, illustrator, photographer, wife, mom, and all around creative gal trying to spread the message that creativity is one of our most important qualities. She uses her books, photographs, and writings to encourage others to just take the chance and be creative. This BLOG is about her creative journey into all her creative endeavors, including writing for children and adults, art and illustration, photography and photo-illustration, and book-building from beginning to end. There may be other “sidetrips” that can’t be predicted–so hop in and enjoy the ride! You may learn more about Tracy here. You may follow her on Facebook here.